If you still haven't got a clue what to buy people for Christmas then Feelunique have quite the offering for 2017 and some exclusives that cannot be missed and are available right now. 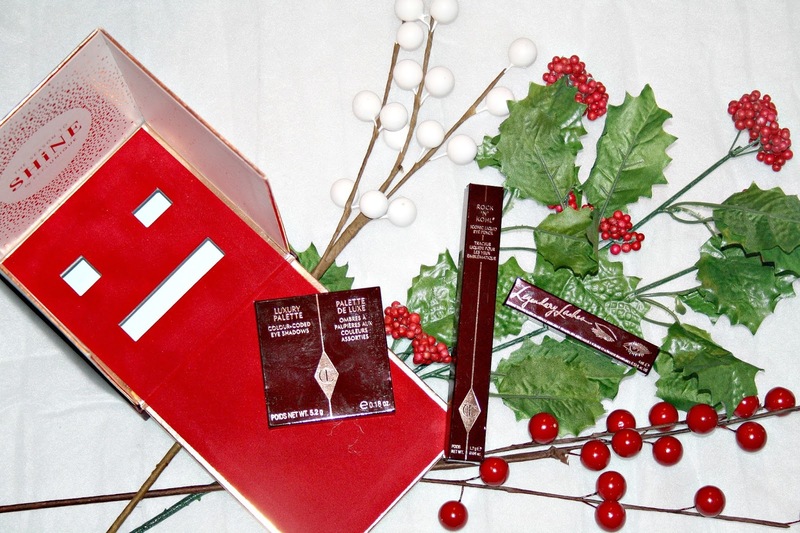 One of the gifts which caught my eye is a Feelunique exclusive from Charlotte Tilbury with the Stars of the Red Carpet box and it is a must-have for fans of the brand, anyone who has never tried anything and definitely for those who love a bit of luxury. Charlotte Tilbury Mini Legendary Lashes Black Vinyl 4ml - Described as featuring ingredients for longer fuller eyelashes. This bold black colour is said to give an intense, glamourous look in seconds. Using Marine Glycogen stimulates hair follicle growth and proliferation of keratin cells and nourishing Tamanu Oil protects and strengthens your lashes. 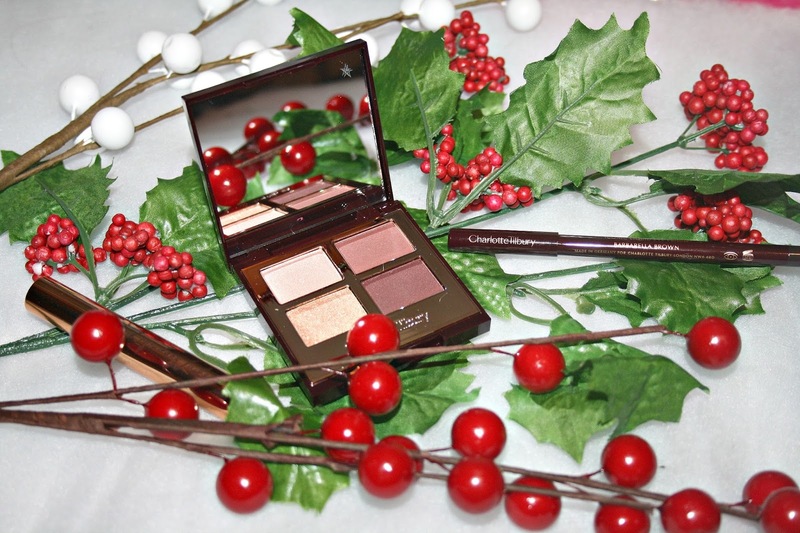 Charlotte Tilbury Luxury Palette The Vintage Vamp 5.2g - Now this palette is stunning. It is an eyeshadow quad which is made up of purple-red toned shades in a pale shimmer, ruddy plum, deep burgundy and a peach-toned gold glitter, essentially everything you need for party season and stand our from the crowd. Charlotte Tilbury Rock 'N' Kohl 1.2g in Barbarella Brown - I am delighted to see a brown eyeliner as opposed to black and this liner has a waterproof formula as well as crushed pearl powder helps to stimulate collagen production to hydrate the skin, smoothing the surface of the eyelid, making it easy to achieve an impeccable, clean line. As you can tell I am quite enamoured with this gift and for just £58 it is an absolute steal. Further to the Red Carpet Box, Feelunique also have their very own range of Season to Shine gifts which range from an Advent Calendar, Baubles and Crackers and again some of these are further collaborations with the likes of Rimmel and Bourjois and then further offerings featuring of mixture of products such as the Makeup Essentials Cracker which is also a bargain. Once you have selected your gift or gifts, it doesn't end there. If you want to make that gift even more special, Feelunique gives you the option to have that gift personalised. From there you will have two options presented to you. 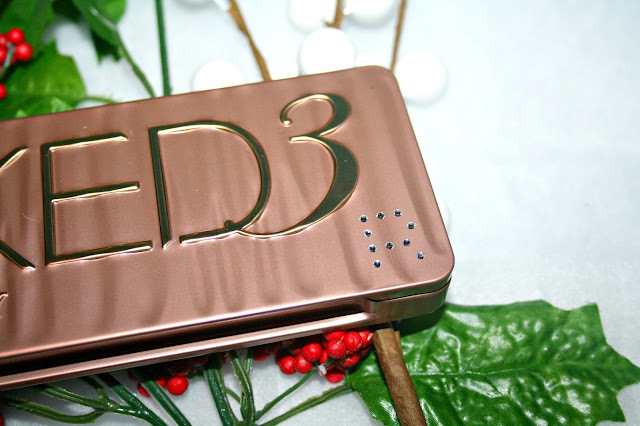 At a recent press day, the team at Feelunique very kindly let me choose a gift and have it personalised and I chose my initials for this Naked 3 Palette. I really like this option and whats more, because I have god daughter siblings, it now means I can buy them the same gift and have it personalised so they don't argue over which item belongs to who, something until now, I had never even thought about! Hopefully, you are now brimming with ideas for what to get your loved ones for Christmas and I would love to know what you think to these ideas from Feelunique! Charlotte Tilbury is a brand that I have been meaning to buy for ages, as I love the quality and design of their products. I will look out for the Rock N Kohl set when I'm in HOF next. 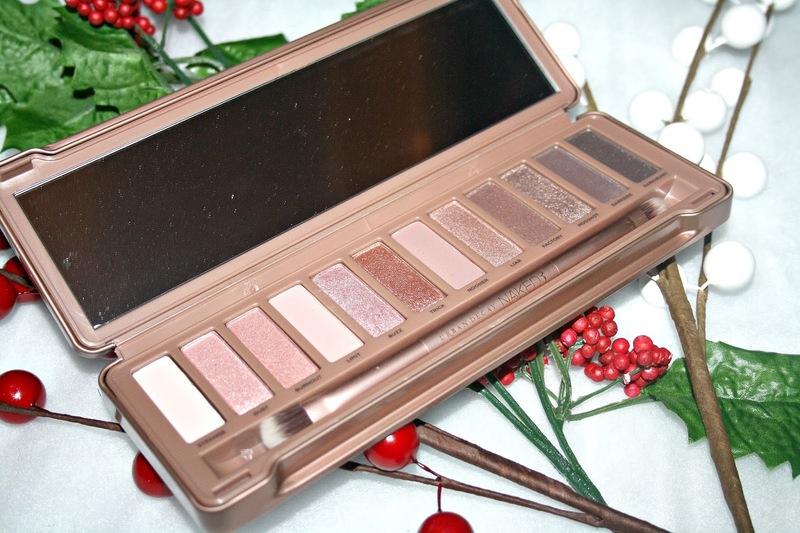 The personalised naked palettes are the best!! i love the idea of the personalised palette!!!! how to make a special product even more amazing!! I love feel unique! 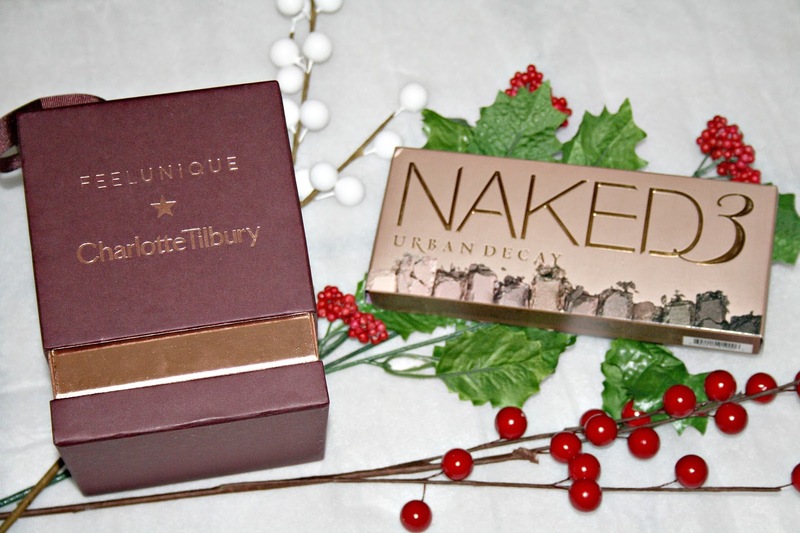 I really want that Charlotte Tilbury box it looks amazing! I like how unique the set is, and the personalisation you can get done is a nice little touch! Charlotte Tilbury Mini Legendary Lashes sounds amazing! Great share, dear. Thank you! The Naked3 Palette is perfection. 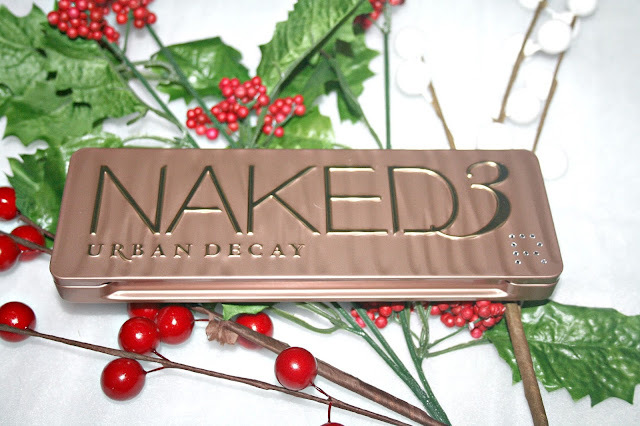 I think it might possibly be my favourite from the entire Urban Decay collection.